John Cougar Mellencamp took his own struggles and made them into music relevant to everybody. Before the No Depression movement gained recognition, before the soundtrack to O Brother, Where Art Thou? temporarily resurrected folk music in pop culture, and before Robert Plant won acclaim for his collaboration with Alison Krauss, Mellencamp scored commercial hits on rock and pop radio with songs that not only contained but prominently featured the violin, accordion, banjo, Dobro, and other traditional instruments. Those who classify Mellencamp simply as Americana are mistaken. His album released in 1987 had a hybrid sound that Mellencamp christened “gypsy rock.” The sweat of immigrants, the dirt from farm fields, and the electricity of rock ’n’ roll combined forces to create something not only unique and original but popular, and not only successful but innovative and challenging. The album is called The Lonesome Jubilee. The surname Mellencamp stretches across the front cover right above a black-and-white photograph of the pensive and contemplative singer-songwriter sitting in a bar next to an old man in work clothes. The facial expression on the Indiana born and bred rock star has the same tough exterior, weathered by despair and veiling sensitivity, that defines the worker in the baseball cap next to him. Underneath the elbows of the singer and below his own name is the title of the album. The conventional meaning of jubilee is a period of celebration. In the Bible it refers to a periodic granting of favor from God when slaves are set free, property is restored to its rightful owners, and the lands produce a bountiful harvest. Mellencamp’s postcard from his thirty-sixth year and from the small Indiana town where he lived at the time and continues to live—an easy fifty miles down a rural highway from the “small town” of his birth that he immortalized in the tributary hit “Small Town”—announced a jubilee that was not ecstatic, redemptive, or salvific but “lonesome.” The Midway Tavern in Elnora, Indiana, is the setting of the cover, and occupying the barstool next to Mellencamp is the late Woody Baker—a lifelong Elnora resident who was a World War II veteran, father, grandfather, and welder. Baker’s jubilees might have been lonesome—scattered among struggles—but the fact that they exist, and that they inject the working class with vitality that the middle class lacks—puts the spirit of jubilation in Mellencamp’s music. Norman Mailer said that the middle class is constantly “submerged by the wealth and power of the upper class, and besieged by the vitality of the working class.” It is the working class and the poor who created the forms of music Mellencamp would use to fashion his own brand of gypsy rock—former slaves singing in dirt-floored churches, Irish immigrants with homemade mandolins, and a teenager from Tupelo, Mississippi, singing at the direction of the primal conductor within his spirit. The shadow of death—and the presence of ghosts—hovered over and darkened the recording sessions for Scarecrow. The Lonesome Jubilee took life under the same haunted conditions. Mellencamp’s Uncle Joe died shortly before the writing and recording of the album, and his death, like that of Mellencamp’s grandfather, established a mood and presented a theme for sessions. Unlike Mellencamp’s grandfather, however, his uncle provoked feelings of hostility and anger alongside the pain and loss that accompany mourning. Timothy Weldon, a philosophy professor at the University of St. Francis in Joliet, Illinois, is fond of asking students, “Is too much ambition a bad thing?” It is a great question, especially considering the wreckage that a lifestyle of consumption and constant mobility has created out of American communities. On a more personal and intimate level, the question—the same one Mellencamp is answering in “Paper in Fire”—relates to the ways in which people, who perhaps don’t know what they really want, cannibalize what they already have. We turn the green fields to brown and watch them burn, feeling the heat from the flames licking the sky, because we aren’t stewards of our dreams and our families. Jim Harrison wrote that “you must follow the affections of your heart. Otherwise you will feel badly.” Those who feel badly, perhaps like Joe Mellencamp, attempt to treat their pain with forms of therapy that only worsen the wound. “Paper in Fire” is full of rage, and Mellencamp turns his anger toward his family, his neighbors, and himself. Excerpted from Mellencamp: American Troubadour by David Masciotra. Copyright © 2015 by University Press of Kentucky. Reprinted by permission. 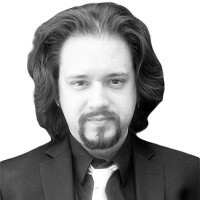 David Masciotra is a regular contributor to Salon and AlterNet. He is the author of Working on a Dream: The Progressive Political Vision of Bruce Springsteen and has written for numerous publications, including The Washington Post, The Atlantic, and the Los Angeles Review of Books. He lives in Highland, Indiana.